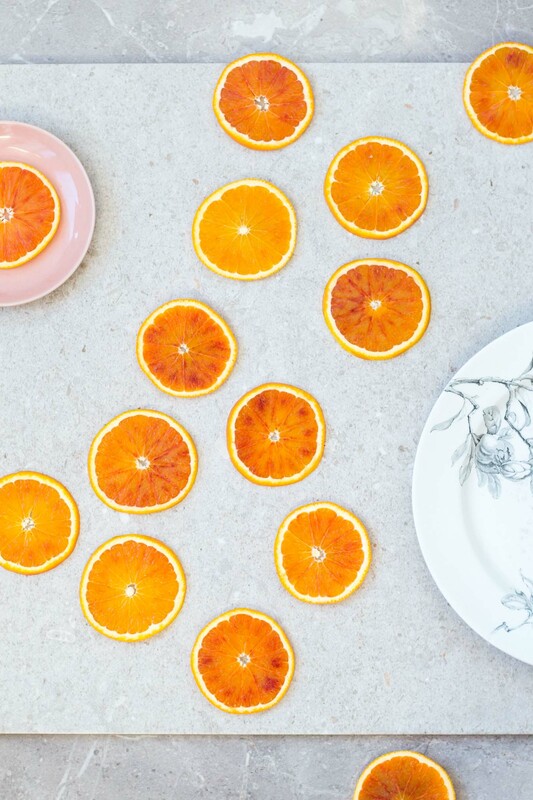 These simple candied orange slices are made by simmering fresh blood oranges in a light sugar syrup. A colourful, beautifully translucent garnish for fruity cakes and desserts. I pack my diet with citrus fruits in all their juicy forms. They are rich in vitamins and minerals (including the pith and skin) and the colours, smells and bright flavours truly bring me joy. 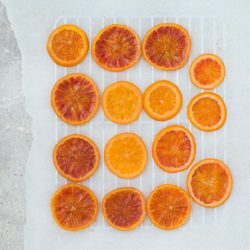 Now I can’t pretend that this citrus recipe is the healthiest (the slices are simmered in sugar syrup), but it is the prettiest. 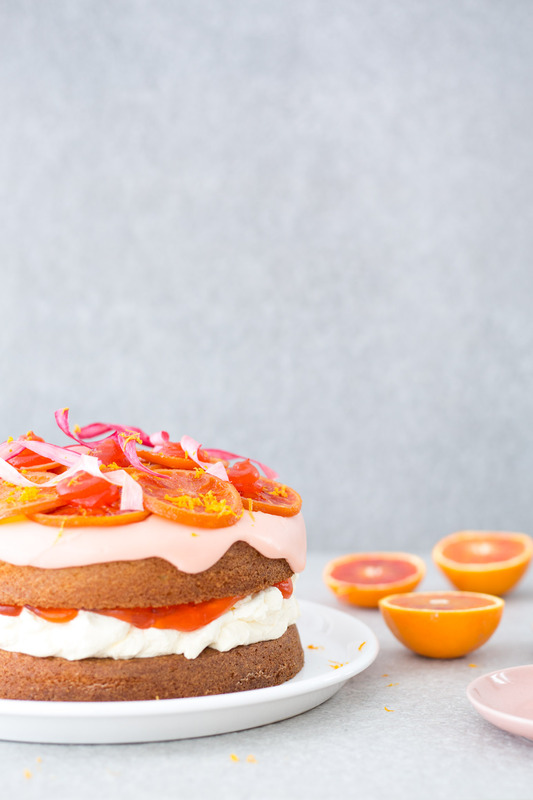 I used mine to top a spectacular Aperol spritz cake (coming soon! ), but they’d be good on all kinds of cakes and pastries. You can even eat them as a snack. A colourful, fruity garnish for spectacular sweet treats. Slice the blood oranges in 3-4mm slices (any thinner and they will break apart as they simmer). Add the sugar and 500g water to a medium saucepan and bring to the boil over high heat. Boil until the sugar is completely dissolved and the mixture has thickened slightly, about 5 minutes. Reduce the heat to a gentle simmer and slide in the blood orange slices – keep the syrup on a very gentle simmer, otherwise the bubbles can break up the slices. Simmer for 30-45 minutes, until the slices look translucent. Carefully remove with a slotted spoon, drain and transfer to a piece of baking paper. Leave to cool and set for a few hours, then transfer to a cooling rack and dry out for 24 hours. Do not throw away the leftover syrup! It tastes absolutely amazing and can be used to make this delightful Blood orange fizz cocktail or some more wholesome Blood orangeade. Strain into a heatproof container and store in the fridge.